Are you new to guitar and don't know where to start? Do you ever feel nervous or uncomfortable when someone asks you to play in front of them? Are you stuck at a certain level and can't break through? Do you want to finally play guitar like you've always dreamed? IF YOU SAID "YES" TO ANY OF THE QUESTIONS ABOVE, KEEP READING. Hi, my name is Dylan Andrews and I am a professional guitar instructor and owner of Summit School Of Guitar. I have been teaching and helping people meet and exceed their musical goals for years. I have worked with hundreds of students who have had every problem mentioned above and more. After successfully helping these students overcome their challenges I know I can help you too. Most guitar teachers have very slow, outdated and unproductive teaching methods. This causes students to get bored, frustrated and quit. 65% of students that take traditional guitar lessons quit within their first year and 80% have quit before their second year is over. This is not good! 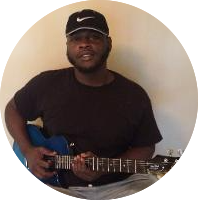 At Lawrenceville Guitar Lessons you will receive guitar lessons that will allow you to learn 2 to 5 years ahead of expectations and playing for years longer than the average student. One of the ways this will be accomplished is by learning effective methods on how to practice, set goals and play guitar the way you have always wanted. You will overcome your musical challenges fast, love the process and most importantly receive results quick. Click here for your FREE introductory lesson! Have you tried teaching yourself and found that it left you totally lost? Have you spent hours watching online videos or free lesson material with little to no progress? Have you tried learning from outdated guitar teaching books? I was self-taught growing up and came across the same struggles. I tried learning from Youtube, online lessons and any book I could find. None of these worked for me because I had no guidance. I had no way of knowing what I needed to learn or in what order I needed to learn it. I didn't even really know what my musical goals were! This all changed when I finally found a skilled teacher who knew how to teach. This teacher assessed my musical goals and showed me how to get where I wanted to be and my progress skyrocketed! I finally was learning quickly and loving it! How would you feel if you had a guitar teacher who could do this for you? Someone who could teach and coach you to get the best result in the quickest time possible. A teacher who has a step by step plan to turn you into an amazing guitarist. With Lawrenceville Guitar Lessons you will finally break through the barriers that are keeping you from becoming the guitarist you want to be. Did you know that 92% of guitar teachers have no training on how to teach guitar? This is something that most people don't know or even think about when they are looking for a guitar teacher. Just like any profession, teaching guitar is something that needs to be studied and practiced in order to do it correctly. Because of this lack of training, guitar teachers use ineffective and outdated teaching methods. This will waste your time and your money! When looking for a guitar teacher your first question should be, "Where were you trained on how to teach?" I am the only guitar teacher in Georgia with the Elite Guitar Teacher Inner Circle training. This is an ongoing course where I train under one of the world's leading guitar teachers that equips me to teach,train and mentor my students in the most effective way possible. I teach all levels of guitar players from complete beginner to advanced. Electric. The electric guitar is a much easier guitar to learn on. It has a smaller body allowing you to see and reach the fretboard easier and the strings are thinner making pressing down on the strings easier. How do I make sure I find the right teacher? Check out this free guide on how to choose a great guitar teacher. That is a great question but a more important question would be how much time will you waste on ineffective guitar lessons, books or trying to teach yourself if you do not take this opportunity. 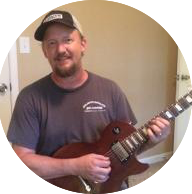 When it comes to guitar lessons you get what you pay for. If you are looking for cheap guitar lessons you will get poor results and wasted time. If you receive quality guitar lessons you will receive quality results in a very short amount of time. Do you only teach guitar? Yes, I only teach guitar to ensure I am putting all my effort into giving the best guitar lessons possible. That depends on many things such as your goals and the amount of time you practice. If your goal is to be able to learn a song from beginning to end, that will not take very long at all. If you want to become a professional musician that will take a little longer. I have good news for you! You don't need a lot of free time in your week to become a great guitarist. On average most people have at least 25 minutes of free time a day. All you need is 20 minutes, 5 days a week of practice to become the guitarist you want to become! "Before I go into further details on my path to conquering the guitar and becoming a musician, I must say it is genuinely a honor to have come across Dylan Andrews. When I called Dylan we talked a bit and conversed about the goals I had in mind and how he could help me achieve them. Dylan offered a free trial session to give me an idea of what to expect. Let's just say from that initial moment,I was sold on allowing Dylan to train me. It's been out the roof ever since. I've evolved tremendously not only as a guitarist but as a musician. This journey has been one to remember. Dylan is very professional, organized, understanding and very knowledgable of the guitar as well as music in general. He's like a sansei man, I'm telling you. I couldn't be anymore grateful, thanks Dylan!" In just my first few months with Dylan, I have seen a vast improvement. I mean, real results! Dylan Andrews has a relaxed, yet forward thinking style of teaching. He has a plan tailored for each student to get them quick results based on their goals. I get to be an active part on where my guitar playing is heading! That is huge. You can study all the “on-line” lessons you want, at some point accountability with a personal instructor is the way to really progress. I would highly recommend Dylan to anyone, at any level, in their quest to further their love for guitar. Stop what you’re doing and learn it the right way. Call Dylan, I wish I did five to ten years ago!" 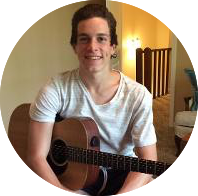 "Dylan has helped me further my understanding of every aspect of learning to play guitar. Dylan teaches in a way that makes learning easy and exciting. He helps me set goals, walks me through each step, and holds me accountable. I highly recommend Dylan as a guitar teacher." "I had been taking guitar lessons from another instructor for a while, but it seemed I was doing the same thing every week. I could not see any progression since I wasn't being taught anything new. When I took my first lesson with Dylan Andrews I noticed that he had an organized program for continued progression in learning both technique and theory. Dylan charts your progress with a notebook and monitors the amount of time you spend in practice during the week. You quickly learn that your progress is directly affected by your practice time. His lessons will constantly challenge you to push yourself to learn something new every time. After a couple of months I found that I could easily play songs that I had once found impossible. 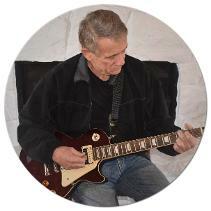 I would recommend Dylan to anyone learning guitar or just wanting to improve their playing ability." AND CLICK THE BUTTON BELOW! P.S. Don't procrastinate and miss out on this opportunity! Click the link to get a free assessment of your guitar playing and a step by step plan on how to become the guitarist you want to be. P.P.S. This is the opportunity you have been waiting for! Don't wait any longer! Finally make that decision to take action and become the guitarist you've always dreamed of becoming.